Need to prove you don&apos;t drive like an old granny? This game could be for you. All you need to do is hit the keyboard the moment you see the red stop sign and it guesses your age based on your reaction time. The game was created by JustPark, a London startup that specializes in pre-bookable parking. 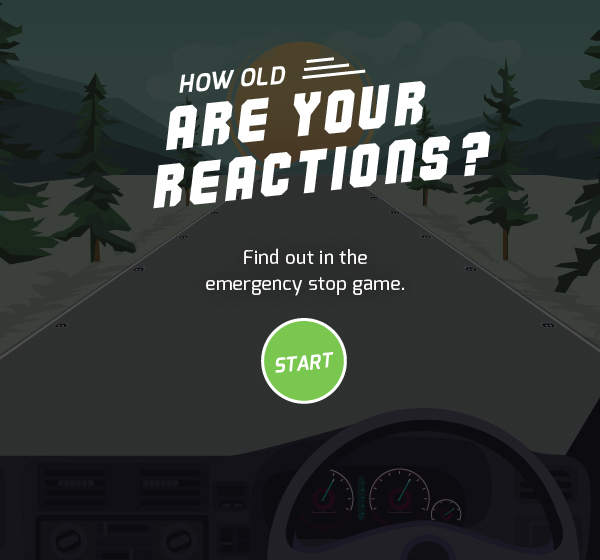 To create the algorithm which determines your driving age, they recorded the reaction times of 2,000 people aged 18 and above. Weirdly, left-handed people had an average time of 461 milliseconds, compared to their right-handed counterparts at 525 milliseconds. To play the game, just click start and hit the keyboard as soon as the red stop sign appears. Check it out below.